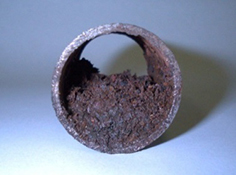 In a typical 1000 gallon wet system, after 30 days, the oxygen from trapped air and water will have produced approximately 34 pounds of iron oxide solids. 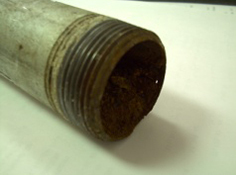 Corrosion will start anytime new oxygen is introduced into the system. 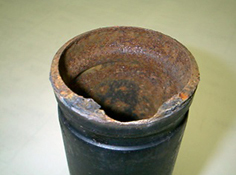 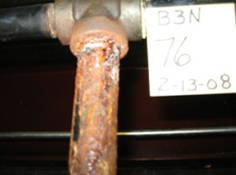 In dry and preaction systems oxygen corrosion is limited to areas of the pipe that are wet or moist. 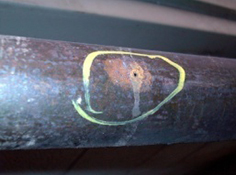 In these systems, the corrosion reaction will continue to be more aggressive due to the oxygen supply. 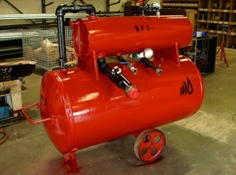 Whether your system is already suffering the effects of corrosion or you want to proactively protect against corrosion – Security Fire can provide you with a solution that will fit your needs.